The Hausmann Folding Floor Mats are specially designed to provide the right support and comfort for those engaged in physical therapy, rehabilitation, or calisthenic exercises. These Folding Floor Mats offer several features for the right amount of support for any physical activity. 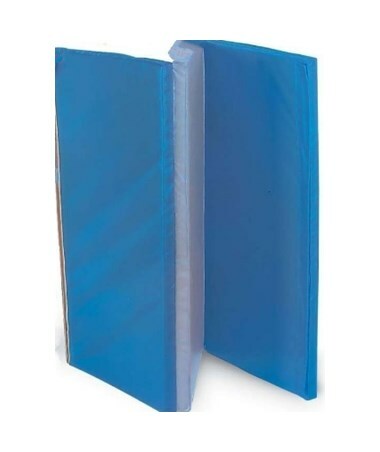 Vinyl cover is nylon-reinforced for added durability. The 2-inch foam is extra firm, for adequate support. 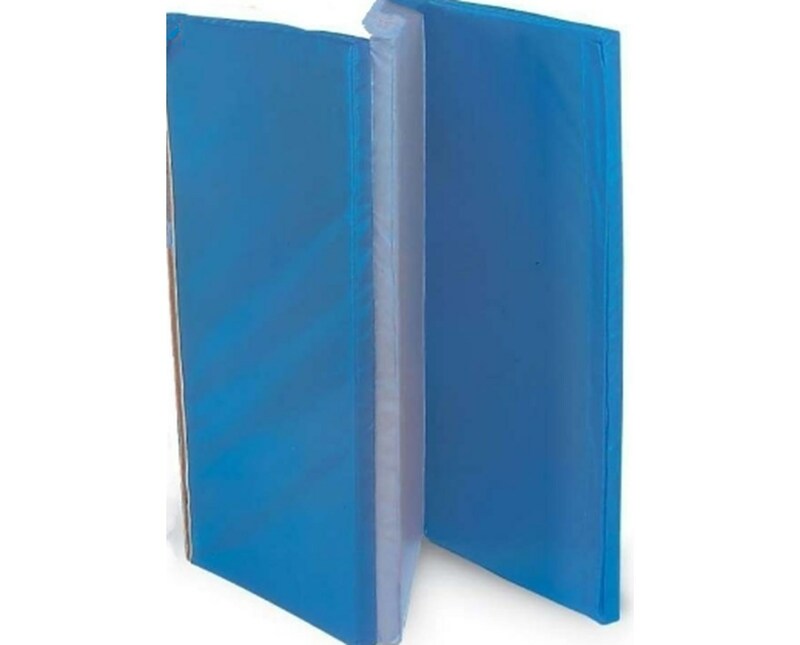 Hook and loop fasteners on mat ends enable mats to be easily joined for convenience. They also feature 2-ft wide panels and accordion folding. Available in two-tone Blue and Gray color.